October 3rd and 4th, 2015! Cackling Geese-like this one-migrate south from Alaska in October, and flock together for the winter at sites like Ridgefield National Wildlife Refuge, in southern Washington. In addition to music, the festival offers artwork and guided kayak and walking tours. Keep an eye out for hawks and herons, otter and beaver - oh! and fiddles and mandolins, too!Ridgefield National Wildlife Refuge, with more than 5,000 acres of marshes, grasslands, and woodlands, was established in 1965, in response to a need to protect vital habitat for wintering waterfowl. These Cackling Geese, diminutive cousins of Canada Geese, migrate south from Alaska in October. They flock together for the winter at sites like Ridgefield National Wildlife Refuge, on the Washington side of the lower Columbia River. The geese arrive at the refuge about the same time as hundreds of stately Sandhill Cranes, whose calls evoke the wild like few other birds. There is yet another fanciful strain to be heard at Ridgefield in October. [A bit of engaging bluegrass music] The Friends of Ridgefield have organized a BirdFest and Bluegrass Festival at the refuge. In addition to music, the festival offers artwork and guided kayak and walking tours. You’ll find a link to the Ridgefield BirdFest on our web site. For BirdNote, I’m Frank Corrado. Birdcalls provided by The Macaulay Library at the Cornell Lab of Ornithology, Ithaca, New York. 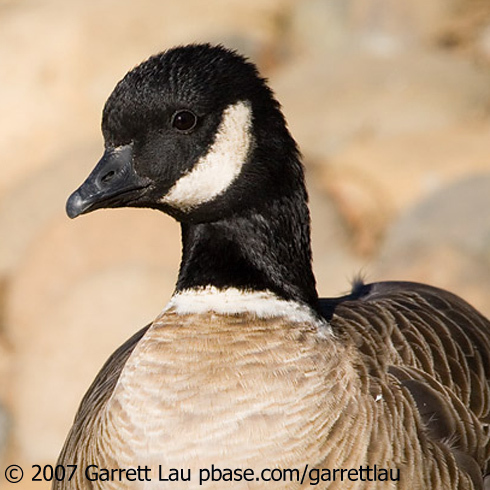 Cackling Goose and Sandhill Cranes recorded by G.A. Keller. Bluegrass music: “White Oak” by Captain Gravel from Mountain Lair, 2006. Chris Peterson is the founder and executive producer of BirdNote.